In The Anxiety Toolkit, Dr. Alice Boyes translates powerful, evidence-based tools used in therapy clinics into tips and tricks you can employ in everyday life. Whether you have an anxiety disorder, or are just anxiety-prone by nature, you'll discover how anxiety works, strategies to help you cope with common anxiety "stuck" points and a confidence that - anxious or not - you have all the tools you need to succeed in life and work. 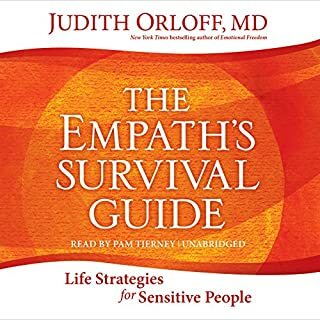 As a HSP, I desperately wanted this book (and I highly recommend getting the print version as well - there's just too much in here that you'll miss with having the Audible version alone). The awful reviews of the narrator almost scared me away, but my stubborn nature let me plunge ahead and put the book in my cart. I'm so glad I did. I don't know why the other reviewers found the narrator so awful. I quite liked her and found her tone soothing and just right for the book. I won't extol her virtues. Try the sample and make up your own mind. She sounds in the rest of the book just as she does in the sample. You can find plenty about this book elsewhere on the web and on Dr. Aron's own site, so I won't take up space here reviewing it, but if you're an HSP or have an HSP in your life, it's essential reading/listening and will help you understand the HSP nature. As for the narrator, I gave her full marks. I loved her and found she added to the book's content, and was certainly not as others have stated, a distraction, but that is my opinion. Try the sample for yourself. At any rate, don't let the others make up your mind for you. It's a great book and certainly worth a listen. What made the experience of listening to The Highly Sensitive Person the most enjoyable? Upon conclusion of The Highly Sensitive Person I’m left with a feeling of peace and better understanding of my natural temperament. I’ve always felt like a stranger in a strange land of extroverts who all seem to flourish in social situations, whereas I’ve always craved more intimate low key social interactions. This book is a magnificent tool for anyone who feels marginalized due to their natural inclination towards the quiet life, and is seeking ways to adapt their personality into a fast paced society while still being true to who they really are. The reader of an audio book can make or break the experience. 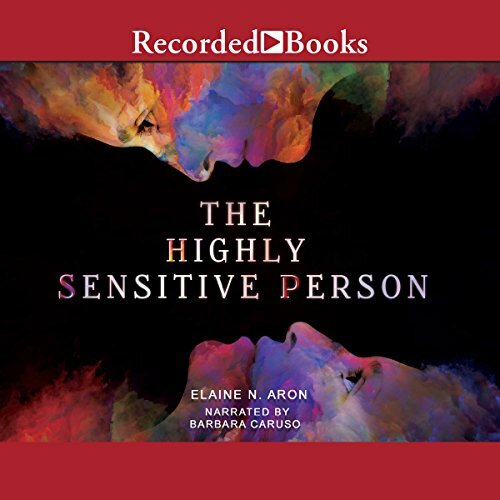 Barbara Caruso did a fabulous job of conveying a nonjudgmental, & almost motherly tone throughout the book, you could feel the tenderness in her voice, and this made the book all the more pleasant to listen to. The review stating this is highly scientific is correct... Ms Aron was responsible for pioneering research in this area. This work was originally published in 1996 as a summary of her years of investigation... 13 years before Ms Hass publication... so her work stands squarely on the shoulders of Elaine Aron. 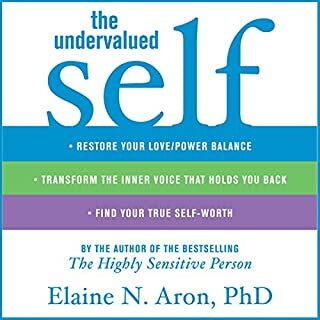 Before Elaine Aron's groundbreaking treatise it was assumed "sensitive" persons were weak, whining people (to use the reviewers phrase), who just needed to buck up and get with the program. I have no doubt Ms Hass' book is a good example of self help for HSP's... but let's give credit where it due. THIS is the definitive work on the subject. 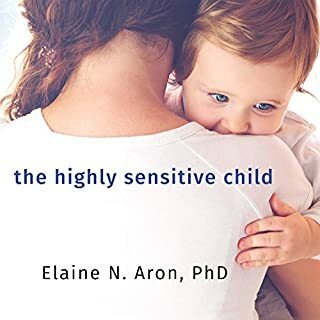 Not available in audiobook... but Elaine Aron's books on raising an HSP child, and HSP's in love relationships along with a companion workbook are solid reads as well. This book was so informative. I had never heard of this label before. So glad to know now why so often I would be upset for no reason. Now I know what was making me feel this way and why I wasn't like all the other people. I felt the reader's voice was highly irritating to me and not calming. Wish the author had read her own book because her voice is mellow. They wrote a book about me. No, it's not a biography. 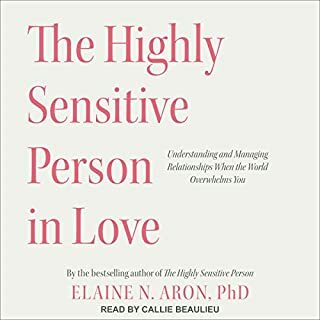 It's “The Highly Sensitive Person”, which are the hyper emotional, empathetic, detail oriented, easily over-stimulated, and introspective 15% of the population in a world where this trait is heavily undervalued and misunderstood, even by ourselves. Every person who might be a qualified HSP should be handed this book when they reach an age where they could make use of the information in it and their families well beforehand. I've known that I've been an 'HSP' for years, but didn't pick up the book until recently. During a very busy afternoon I felt 'anxiety' settling in, but realized that from this book that it was simply overstimulation. I retired to a dark bedroom for an hour, away from light, people and noise and was rejuvenated. If I had known this simple trick from this book I might have saved myself from years of anxiety attacks and lost sleep. That's just one example of the great advice and reflections in this book that completely make sense to me. There are plenty of anecdotes of self care, how to heal from childhood traumas, interacting with a work environment, interacting in various life phases, making friends, falling in love and why and what makes us fall in love, and even why we stay with our parents well into our twenties. This is one of the best books I have ever read for gaining knowledge on myself. It's very inspiring for taking charge of the aspects of our trait that don't quite correlate with the norm or that trap us into pitfalls that I've discovered from this book are just what HSP's go through, due to the way we perceive the world. The narrator sounds like a calm, gentle British grandmother who is handing down timeless wisdom. I've seen some other reviews really critique her voice, but it just shows me that the reviewers are a bit biased and don't really hear a variety of British accents and lean on their xenophobic associations via television media in the US. It's very eloquently narrated and her mood always fits what she is reading. Overall, I suggest this book to anyone who has been told or feels that they are 'overly emotional', 'too deep', or are constantly searching for meaning in every detail. No, you aren't 'weird', you can't 'fix' it, and you won't grow out of it, you might just be a Highly Sensitive Person and you can use this trait advantageously. This is an extremely heavy scientific based presentation regarding intuitives. Most intuitives or highly sensitive people don't need to be presented with information validating who or what they are - for they know what they're experiencing. The tone of the book appears to be addressed to all the writers peers, family members or friends that didn't understand her way of Being - other than that she was different and this was perceived as a negative. It's that negative judgement and perception I feel the writer is specifically addressing in this book. She does a very thorough job of defending, explaining and validating the empathic person. She does this by documenting and sharing research regarding the evidence of various empathic animals within the animal kingdom while tracing the way to the physiology of humans and how scientific evidence does support the existence of highly sensitive people. She then briefly describes the traits, possible challenges and common characteristics of a highly sensitive person. All this information is helpful for the non-sensitives, for the non-intuitives. 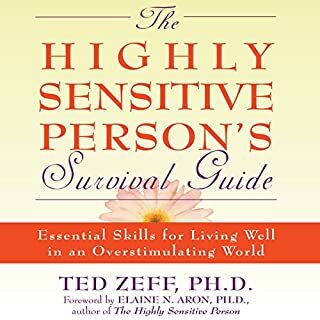 People who have no direct experience as a highly sensitive person would benefit from this book. 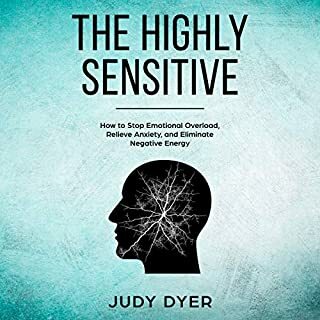 People who are in the psychology world or living with a highly sensitive person and seeking understanding as to the why of " you're so sensitive" will benefit from this book. However, if you are a highly sensitive person or intuitive I suggest this book isn't for you (being one myself). If you are interested in developing, managing, accepting and empowering yourself and sensitivity I suggest books by Russ Hass. Rue Hass isn't interested in making a case that sensitive people exist and validating this through science, her voice is one that addresses some of the challenges and opportunities that exist as a highly sensitive person. She is more hands on with coping and integrating this skill into a fulfilling life. Wow I'm not alone anymore! The most important book in all my 50 years. There is nothing wrong with me I'm an HSP! Struggle no more! Good Book but Irritating Narrator! Would you try another book from Elaine N. Aron and/or Barbara Caruso? I hate to offend anyone, but while this book has some good content, it was hard to get past the irritating voice of the narrator. I tried very hard to listen but I couldn't focus on what was being said because of the 'proper tone' and 'voice fluctuations' of the narrator. I ended up actually reading instead of listening. This narrator might be good for historical books or fiction books(although I don't think I could listen), but not for a serious informational book. I was concerned about the narrator voice, but I got used to it and later even enjoyed it. Do not be discouraged by other reviewers in this matter. Of course it is individual stuff, but aiming for more flexibility is a good thing you might catch while learning about this treat. The book helped me to understand many things from my past, the decisions and interactions and make a shift in perceiving myself as an individual and in social structure. Interesting approaches and empowering knowledge make this book an essential step on the path of self development. Really glad I have found it. I will be listening again. this will go down as one of the most insightful books I've ever read. being a therapist myself I can't believe I missed this jewel until now. it was simple and clear as it was revolutionary. the narrator read the book as a Jane Austin classic which made the experience all the more enjoyable. if you ever felt you were just too sensitito live in this world you must read this book. I tried so hard, it had been recommended and I was keen to listen. I just couldn't get past the awful narration. I felt like I was 5 again. Excellent book, very informative! Covers so many different angles on being a HSP. Highly recommend! a really wonderfully informing book. good to know ur not alone in this world as a HSP! I found this book hard and tiresome to read even though the topic is very important and relevant to my own life. Understanding how highly sensitive people process life is an interesting and important topic but personality I felt this book was too long and heavy. I appreciate that the author felt that she needed to write this book with an academic focus in order to create a professional awareness of this topic within her industry and therefore the book consists of many details and justifications. A follow-up abridged version would be welcomed. Perhaps the author could write a version for her topic-audience or people who already know it’s relevance to read, as a follow on of this conversation? I would recommend her website and self test over this book since it helps demystify this topic in a more succinct and high level manner. If you are a highly sensitive person you may find the book stressful at times to read. Really insightful and helpful for those that it affects. Some of the metaphor choices were not to my taste, but an important book for personal discovery. I was so glad to discover this book after identifying as a HSP through a group workshop. Finding out that this is a “real” condition made me feel very validated and helped me realise I am not alone. Thanks to Elaine for writing this book and sharing from her lived experience and to Barbara for the narration.